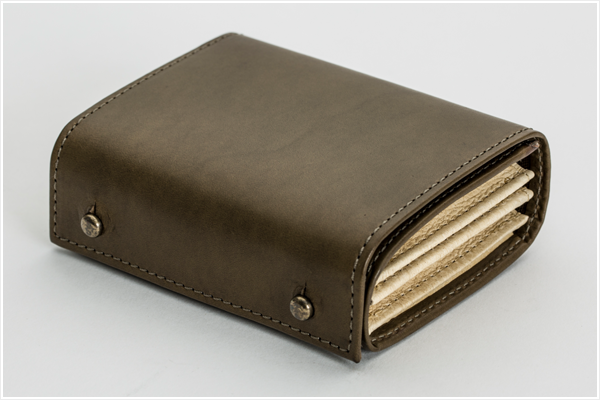 A compact wallet created from single layered quality Italian leather. “millfoglie” literally means a thousand sheets of paper in Italian. The name “millfoglie” derives from a single leather being folded into multi layers. Once you open the post knob that holds the entire wallet, you can easily unfold allowing the firmly stitched box like space rising with 3 pockets to put in cards and coins conveniently in one go. millefoglieⅡ P30 is made out of a one layered Italian tanned leather. 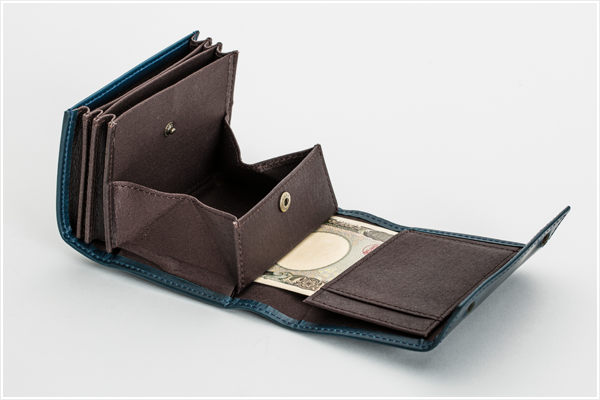 In this【Ⅱ P30】series the most popular three different color variations were selected from the【Ⅱ P25】series.With the increased width(30mm),it allows to fit in more cards. 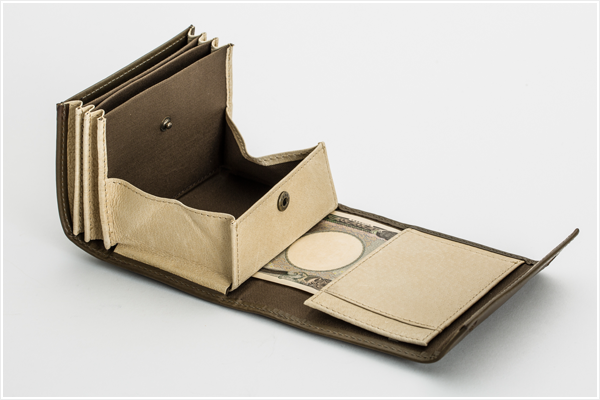 Approximately holds 10 paper money sheets, 15 coins and 30 credit cards. 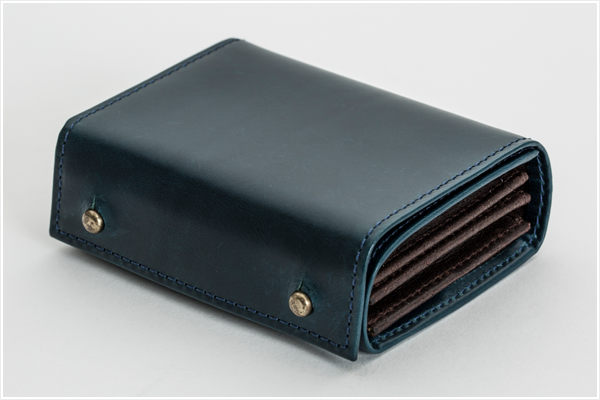 To avoid from deterioration or natural molding please place the wallet in a dry area allowing flow of air if you do not use it for a long time. 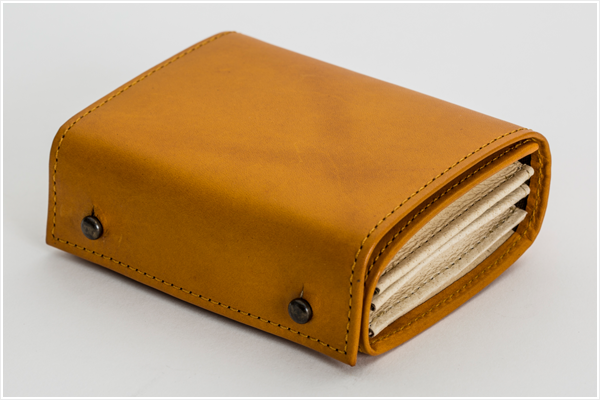 The wallets are using natural material at its best but there may be occasional color loss, lineage and surface irregularity. As the exterior is made to provide the real leather feel the surface can result with slight scratches or pressed marks. In any case, the leather should smoothen gradually with daily usage.